This is the #1 question we get asked by our clients – “What is the best way to lower my cost to get cheap tshirt printing?”. If you read our screen printing pricing guide, you’ll know the factors that custom apparel shops use to come up with their pricing for your order. But how do you apply that knowledge to bring the price of your order down? Here are helpful hints you can use to help save you money. • What is my message for this particular shirt design? • What is my specific goal? Knowing this information from the start can help produce a much better, more focused product and alleviate hold ups down the road. You should have specific ideas about your design and concept. Telling us to make something that “looks cool” or “stands out” is not being specific. By not having specific ideas in mind, the longer we’ll need to work with you to extract ideas from you and translate them into a shirt design. This costs you money because our art department will have to come up with “broad” concepts for your design and work with you to narrow it down. Not only does this cost you money, but it also significantly delays the process. We’re not saying you need to have every single detail nailed down to a tee but if you can pinpoint detailed aspects of what you’re looking for, the process art process will go a lot quicker and smoother, helping to lower cost. It’s important to remember that text is actually incorporated into the design and if you add (or delete) any text after it’s been completed then that could easily throw everything off. It’s important you have all the text written out before hand. If you get an idea while working, exercising or just brainstorming, sketch something out on paper, your phone or iPad. It doesn’t need to be on the level of a professional artist. We’ve had people give us stick figures as sketches. Sketches help lay the groundwork for us to build off of. This is a quick, easy and effective way to get ideas. Be as specific as possible. Look for anything you like – including graphics, fonts, colors, fades (what we call ‘half tones’), etc. The good thing is, you can find examples from almost anywhere you look – something online, a magazine, at the store, on a billboard, etc. We’ve had clients give us dozens of elements from different sources and we pieced them all together based on what they provided to us. Having all this will give us a very detailed idea of what you’re looking for. One of our clients who organizes large scale, high volume conventions, seminars and workshops submitted artwork for one of their clients. The design was put together extremely well and was a fabulous design that would have definitely turned some heads. The issue was there were 15 colors in the design – and you know from our screen printing prices guide that colors on the shirt is one of the major factors of pricing. While we can definitely handle a 15 color shirt design, the cost to print that design would have been tremendous. 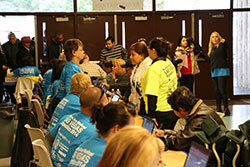 When we first explained the cost associated with printing that many colors on their shirts, they replied back that they weren’t worried about the costs because funds from exhibitors and sponsors would cover the costs of printing the shirts. Some of the colors in the design were so small that it was virtually unnoticeable. We ended up “substituting” some of these colors with other (existing) colors from the design, which reduced the color count but still outputted a great product without anyone even noticing. In almost all cases we can bring the amount of colors in the design down – it’s just a matter of how many colors can we delete without degrading the design. 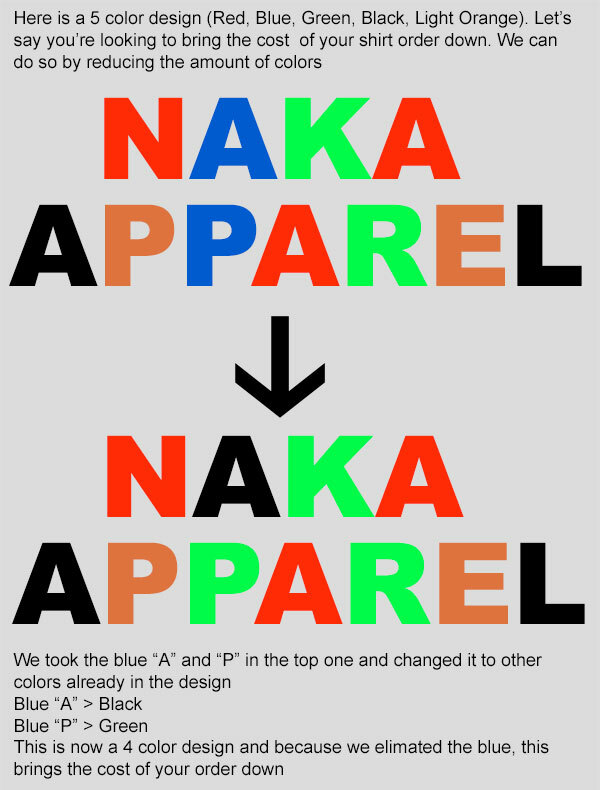 This is something we’ll work with you on, but just keep in mind that the more colors you have, the more your shirts will cost. Special printing places often look good but will cost you more to print. 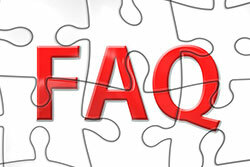 This is due to additional time necessary to set the job up on the press to print in your desired location. If the special location is an integral part of your design, then you should leave it. But if it’s something added simply for “effect”, eliminating any special print locations will help save you money. Try to have your final quantity in mind, including any “extras” you may need. We know, in many cases, having a specific final quantity in mind when ordering can be nearly impossible, especially when it’s for an event. The quantity of your order is a major factor in determining price and the more you get, the cheaper each shirt will be because whether we’re printing one shirt or 1,000 shirts, the time to set up the press is the same. This is where quantity “breaks” can help you. While ordering too many shirts is not good, if you’re close to a quantity price break, it may be more advantageous to order the extra shirts, especially if you know you’ll probably have a need for them. What you want to avoid is placing an order and then having to order again a little while after. Each circumstance is different and, in many cases, it may be more advantageous to wait to place secondary orders but this will end up costing you more. While we completely understand this is not always possible, if you are able to place your order early, then we have more time to address any variables that get thrown into the mix. Unforeseen surprises like making last minute changes or needing to order more shirts, having that extra time will help you avoid any rush or additional fees. It also helps ensure you get your completed order when you need it. Again, we know this is difficult to do but if you’re able to, get your order in early. We do schedule our clients to allot time for rush orders. If you need to place a rush order, be sure to contact us. 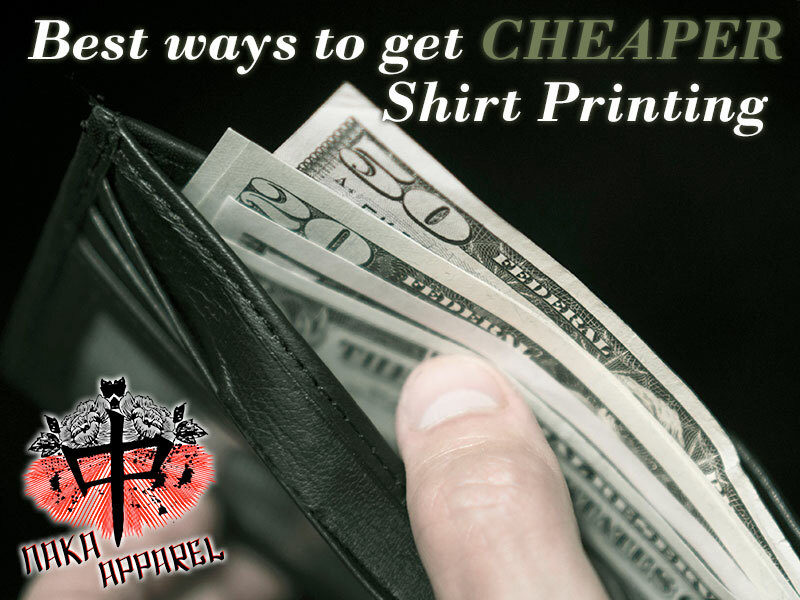 If you’re looking for cheap tshirt printing, you’ll want to be sure to hire a good, reputable company and utilize the tips above to help bring the price down. Got any questions? Be sure to leave a comment below. Great article and information. Had a question. At what quantity are price breaks offered? We’d like to get a bulk order discount but can’t have a bunch of extra shirts laying around the office. Thanks for the question. We can definitely understand not having a bunch of extra inventory taking over your office. Smaller price breaks usually start around 24 pieces. Larger price breaks (and bulk) start around 144 pieces but you can always contact us to let us know your situation and we’ll work to find a solution that works. I’m looking to make cutosm t-shirts from home and I’m wondering if anyone knows a good system for screen printing. I’ve heard some people say they make their own materials and I’ve also read about small screen printing machines. I just want to make the best quality I can, so my question is does anyone have any tips that have worked for them? You can definitely make your own tools for screen printing. Some tools we’ve seen people make on their own include exposure machines (to burn the image onto the screen), washout booths, drying cabinets and more. Regarding your press, you’ll probably want to buy a press from a reputable company. This is probably the most important piece of equipment you’ll need so this is something to not cut corners on. You’ll also need a flash (dryer) unit. You can cure your shirts with the flash dryer but it’s not as consistent (and fast) as a belt dryer. Also, if you do cure with a flash unit, you need to be sure your entire design is cured correctly. The problem with curing with a flash dryer is if you have a big design, the edges will often not get cured correctly because the flash dryer is not big enough to cover the entire area. Good luck and let me know if you need any more questions.